Going out for any form of entertainment can be a challenge when you are blind. 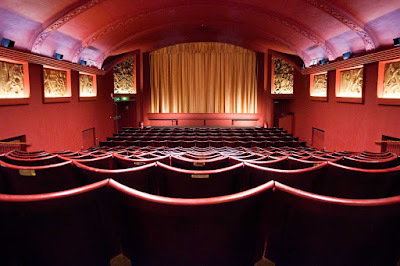 You have to face crowds, deal with low light levels in many restaurants and going to the cinema is not much fun if you can't even see the normal picture and then film makers want to charge you up to 50 % more to watch a 3-D film which you can't even see. An Empty Cinema. Seats ready, curtains lit, ready the movie. Last weekend my wife and I went to a cinema in Fresno, a Regal Cinema, I won't say which just to ease possible repurcussions as I am sure people will flock there after this story. . We were surprised when the young woman in the ticket office said the show was free. My wife was shocked, at first I thought maybe our Regal Card had won a prize, But no, I believe the manager allowed us in to the movie as his guests. The act was so unexpected and to my mind very generous. I am not often surprised by much but this act was so much more than was neccessary. I do love going to the cinema anyway. Often I have to ask my wife what is happening but sometimes I can make out through the grey blurr of light what I need to follow the story. I would like to say, being the guest of the manager was a great honor. 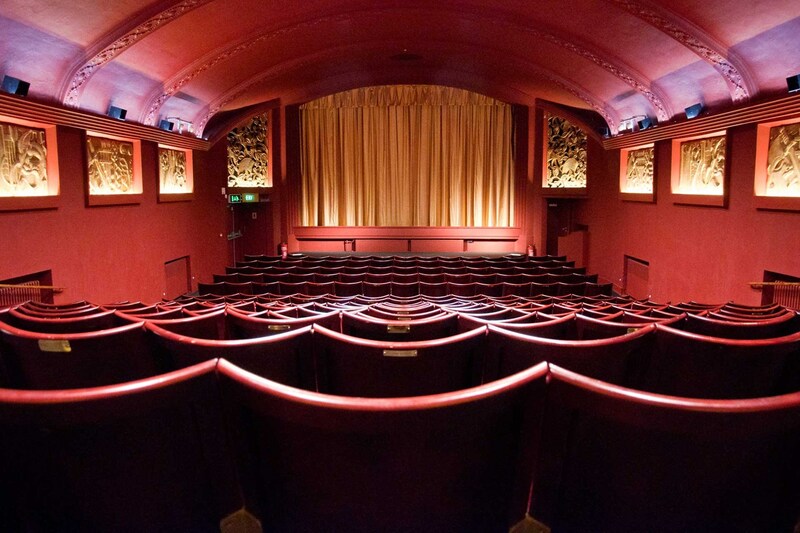 The Regal Cinema group are great cinema's to watch movies. I would recommend that everyone who goes to the cinema regularly gets a Regal Card, you then become elligible for free popcorn, drinks and movies tickets, I averahe a free gift every three visits to the cinema. But the action of this one manager did a great deal to fix my loyalty to the Regal brand. Thank you for your kindness, thank you to your staff for all the good times I have had visiting your cinema. I have no connection to Regal Cinema's. I have not received payment for this endorsement, I expect no remuneration nor financial gain from this post. You may purchase cinema gift cards from this; my amazon affilliate link to help support my blog.